Welcome to the 7th edition of our information bulletin, FYI (For Your Information). We are sharing local information to help improve outcomes or children and young people, whether they may be events flyers, programmes, opportunities or training. Play Matters have released a booklet aimed at parents/carers of children aged 0-4 years as part of the Give Your Child a Helping Hand campaign. 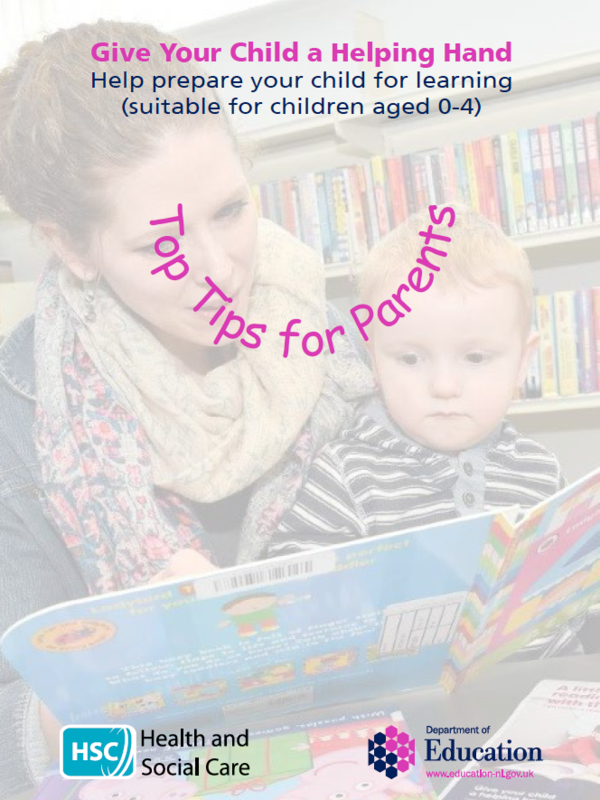 This lovely resource has some tips for parents on talking, listening, and playing with their child alongside guidance on encouraging positive behaviour, promoting emotional and physical well-being and using digital devices sensibly. Click below to download a copy. 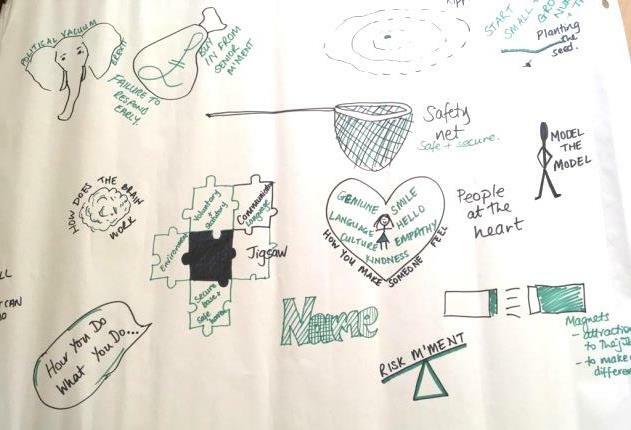 Western Outcomes Group Building Resilient Communities workshops with Dr Karen Treisman Monday 18 to Thursday 21 February. 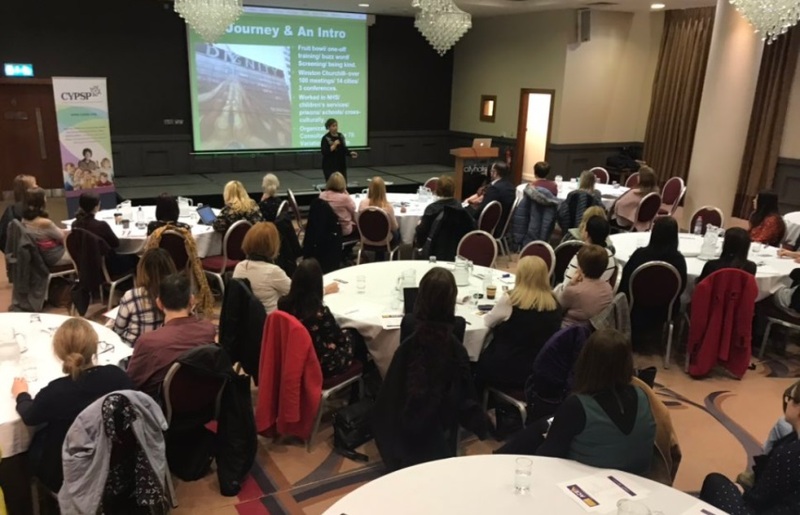 The Western Outcomes Group hosted 4 days of expert ACES training events for practitioners from all sectors across the Western Area with Dr Karen Treisman. 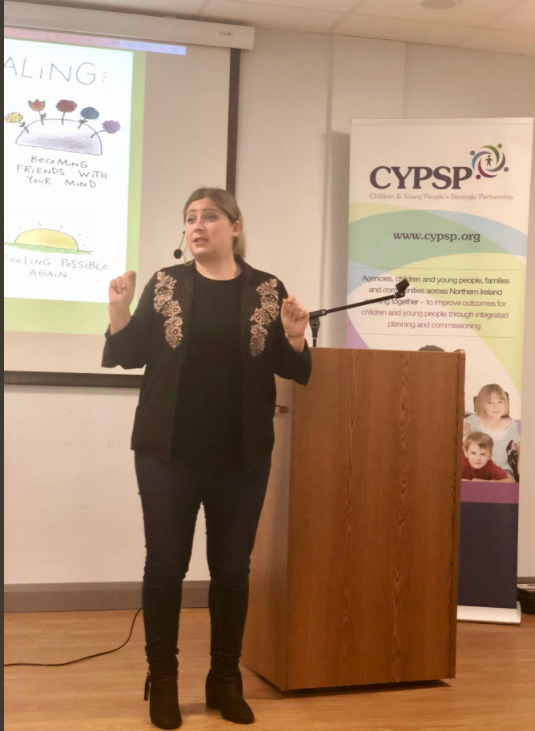 Workshop 1 involved awareness raising and understanding of the impact of relational and developmental trauma and disrupted attachment on children’s brains, bodies, emotions, relationships and behaviours. Workshop 1 was held in Enniskillen and Strabane. 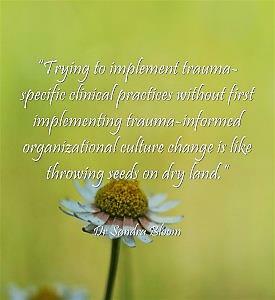 Workshop 2 focused on moving towards being and sustaining a trauma informed and trauma responsive workforce. 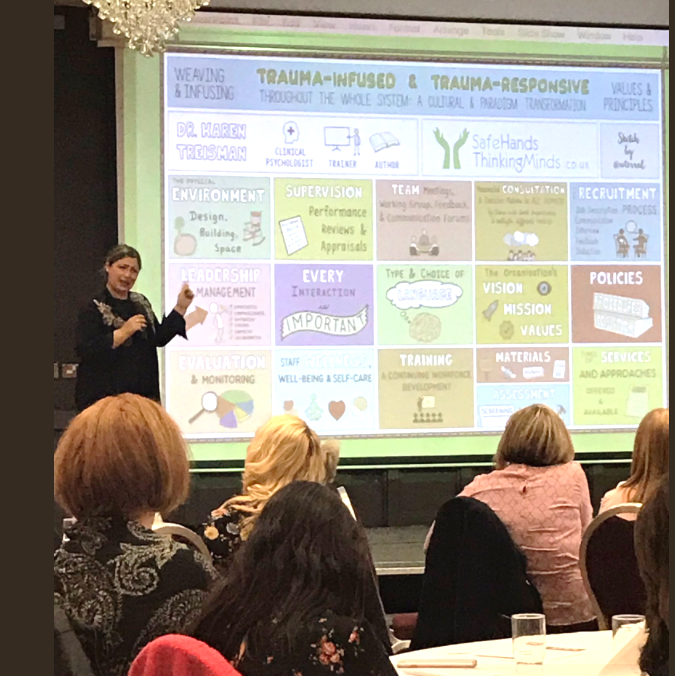 Attendees got the opportunity to learn about what it is to be a trauma-informed and trauma responsive organisation and system and why this is needed and is important and beneficial to everyone. Workshop 2 was held in Omagh and Derry. Dr Treisman used an array of learning and teaching styles that included small group work, multimedia, interactive methods and included impactful and practical case studies to help set in context the learning from each day. The workshops were really well attended with great energy and engagement in the rooms, and feedback has been very positive. Further information from the evaluations will be shared in our next e-zine. 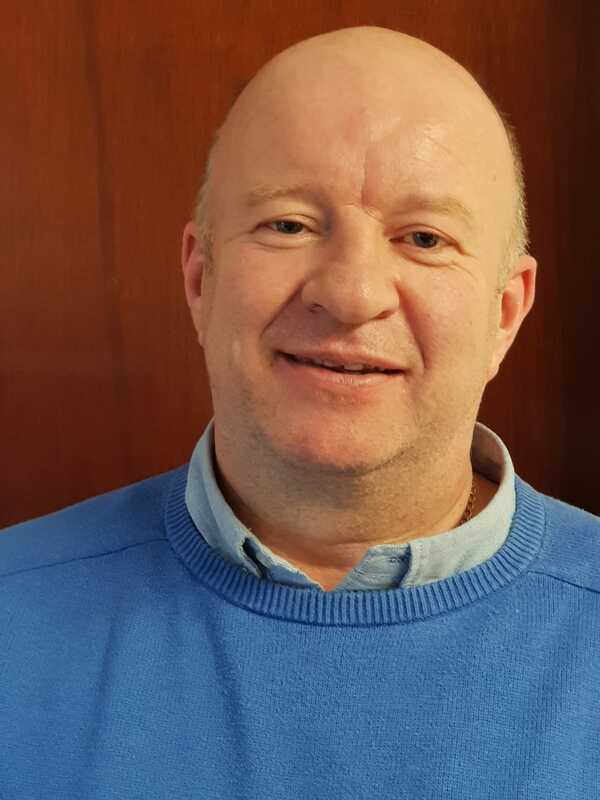 Belfast Area Outcomes Group are delighted to announce that Martin Sloane has recently been appointed as Locality Planning Co-ordinator for the Belfast Outcomes Area. Martin, is widely experienced in delivering partnership development and advocacy work. He has a significant level of knowledge of both the geography and the community infrastructure across the Belfast Outcomes Area. Prior to Martin’s appointment to Locality Planning he was employed by Belfast Health and Social Care Trust as a Senior Practitioner (Social Work) working exclusively with the Irish Traveller Community. Martin has a history of building positive relationships and networks across the voluntary, community and statutory sectors both at local and regional levels. Martin took up this new post in January and is looking forward to supporting the development and delivery of local, area-based plans for children, young people and their families. Martin is committed to striving for better outcomes for all families that reside across the Belfast Outcomes Area and is looking forward to tackling this shared objective in partnership with community voluntary and statutory partners.